Cultivate spiritual and physical health by learning to concentrate the mind, strengthen willpower and deepen awareness of consumption in a structured, supportive environment. No previous meditation experience required. 1. For detoxification, to promote a healthy and sound body-mind. 2. For repentance and reflection; mourning and remembrance; forgiveness and compassion; bearing your share of pain and violence borne by the afflicted, oppressed and ill-treated. 3. For spiritual and religious reasons; renewal of precepts and vows; prayer and meditation for your family, relatives and friends who need your sympathy and love; prayer for justice, happiness for all beings and world peace. 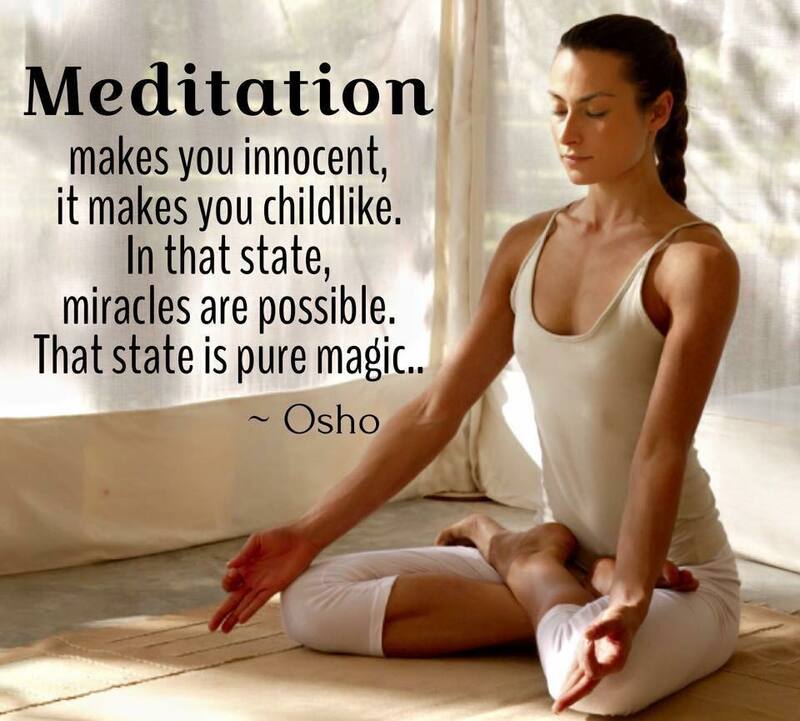 ‘Active” meditations developed by the spiritual mystic Osho. It was designed specifically for the modern man, as a way to relieve stress and to go into the meditative state much quicker and much deeper. Zaki has been teaching, and facilitating workshops, classes, and retreats for the last 25 years. This is an open workshop for all seekers, new and old, seekers of all different paths who have walked in search of freedom from the mind, who have taken a conscious effort to start a journey in this path from mind to heart and from heart to the being. Finally lock down a practice so you can be the calm the chaos & move through your challenges withe grace and ease! meditation. Over many years, she has used many different meditation techniques and has helped hundreds of people to get the knack of meditation. He has been on the journey of meditation with the Indian mystic, Osho, the Buddha of our times, who developed a science of transformation for the modern man. She works individually with people, leads groups, training’s and seminars and has a broad range of expertise including teaching counseling skills. Zaki has been practicing meditation and transformational therapy for the last 25 years here in the states and at the residence of the Osho Multiversity and Meditation Resort in Pune, India. This center is the largest personal growth center in the world and has thousands of visitors from over 100 countries each year. She is a certified Osho Breath Therapist, Reiki Master, and Osho Transformational Therapist, which includes certifications in a variety of healing modalities including counseling. She has helped thousands of people to transform their passion to live happy, peaceful lives, into their daily reality. She finds the most efficient route to creating and sustaining a beautiful and powerful life. Zaki facilitates Osho Active Meditation classes, Shamanic Tarot, groups and retreats, and Reiki class. She has lived and studied in Tibet, Nepal, Singapore, India, Italy, Germany and Thailand, seeking out the masters of energy healing. Zaki also has led workshops and healing groups in Germany for the last 25 years. She is the founder of the OSHO Meditation Center & Multiversity of California. She is an excellent model of what a ‘Marketplace Mystic’ actually looks, sounds, and behaves like when moving through the mundane activities and challenges of daily life.Please wear comfortable clothing. Brink one extra shirt, call one day before for confirmation.